"Possibly most widely celebrated for saving sports car racing in North America or inventing the dermatological patch, ironically so for those that knew him and his smoking habits, the technology behind the nicotine patch, Panoz was a man known for questioning the norm. If someone told him ‘no,’ he told them ‘yes.’ This was the personality and the motivation behind the man, that can safely be said, has left a legacy of success and technological developments, not just in one industry, but across many." Three years after launching the Esperante Spyder GT, American automaker Panoz is back in the headlines with a new self-healing paint feature it plans to roll out on all of its future models. The long-running independent automaker is partnering with Feynlab to use the latter’s patented Self-Heal Plus coating. Part of this partnership involves seeing this product come as standard on all new Panoz cars. You may have heard of Panoz, a Georgia, U.S.-based automaker that builds custom road cars and their racing counterparts like the AIV Roadster and Esperante. 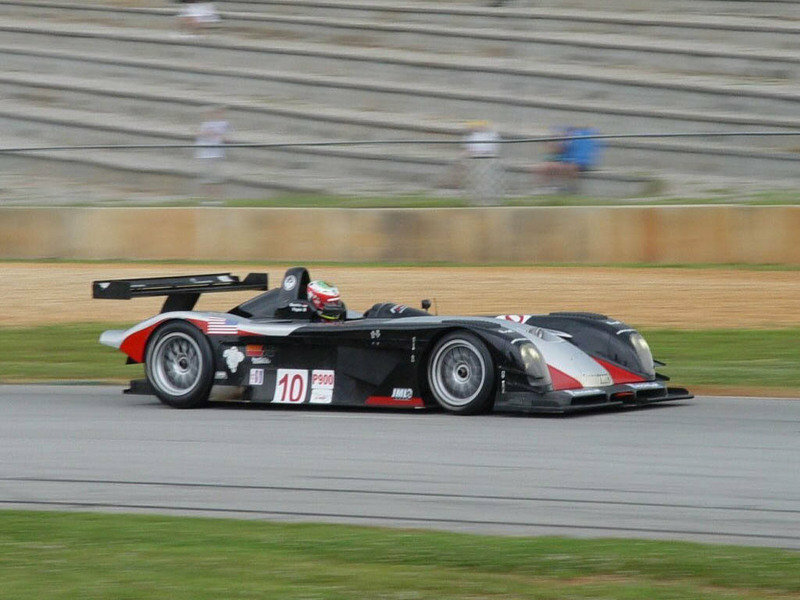 You might even know the Panoz name from Don Panoz, the founder of the American Le Mans Series. But, it’s likely you’ve never heard of Green4U, the new parent company of Panoz. Though it sounds like a smoothie option at the local mall or landscaping company, Green4U is focused on building electric vehicles for taxi fleets, municipalities, the military, and the general public. The company has barely made it off the ground, having been founded in September 2016, but has several vehicles in the works. Two of them are six-door SUVs with all-electric drivetrains. What’s more, Green4U claims they’ll both have a 230-mile electric range. The SUV seen here is the MTU-6. 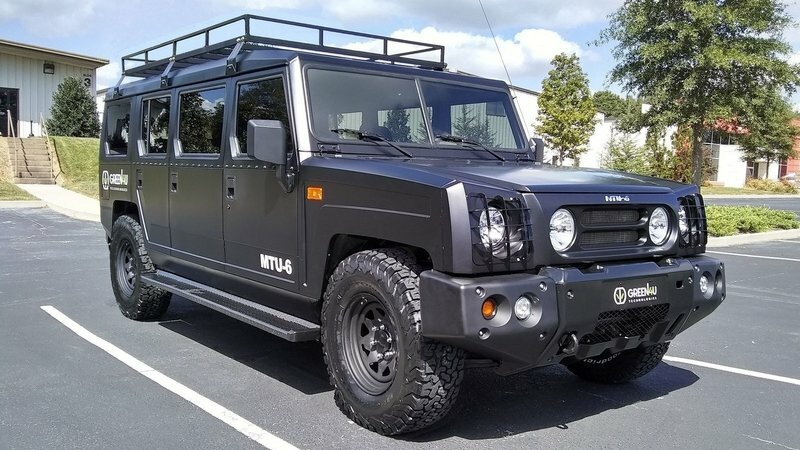 It’s a Land Rover Defender-esque SUV that rides on an aluminum chassis and is built in-house in Green4U’s Georgia facility. The other SUV is the Enova. It also rides on the same aluminum chassis, but its body is tailored more towards the limousine and taxi service rather than the rugged outdoorsman with lots of friends. Green4U hasn’t divulged many details about either of its SUVs beyond the claimed 230-mile range. But, by the look of things, we’d bet 4WD will be included in the mix. Jack Perkowski, Green4U Technologies CEO and co-founder, said, “Our engineers designed a lightweight and strong aluminum chassis and are optimizing electric drivetrains and systems to deliver the range and performance that fleet operators need. “We’re focusing on fleet operators because they understand how EVs can greatly lower their operating costs. A company that has fleet vehicles traveling 50,000 miles a year can save thousands of dollars through lower fuel and maintenance costs.” Green4U says pricing and detailed specs will be released “in the near future” and the MTU-6 and Enova will be available to customers by the summer of 2018. Today’s American market is packed with sports cars, and although only a few of them are American products, they’re among the best you can buy. The Chevrolet Corvette and the Dodge Viper are the most iconic sports cars America has to offer, while the Ford Mustang and the Chevy Camaro are sportier than ever, thanks to the extensive updates under the skin. 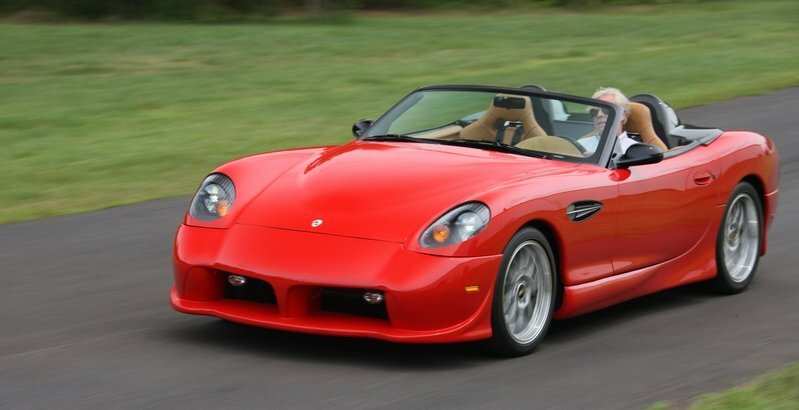 But there’s at least one vehicle that’s often overlooked: the Panoz Esperante. Sure, it might not benefit from the same heritage as the aforementioned, Detroit-built cars, but the Esperante is a race-bred sports car that’s been around for 15 years. 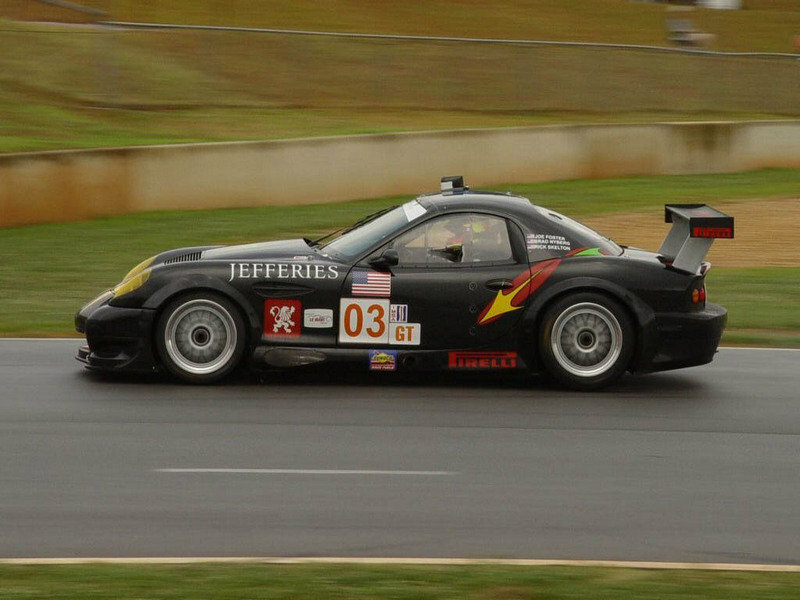 For 2015, Panoz is readying a brand-new iteration, the best to ever come from the company’s Georgia-based factory. We already covered the 2015 Esperante Spyder GT in our reviews section, but we have yet to see footage of the actual car. There’s a reason for that; the fast and luxurious convertible is still a prototype as of November 2014, with production cars to start rolling off the assembly line toward the end of 2014. 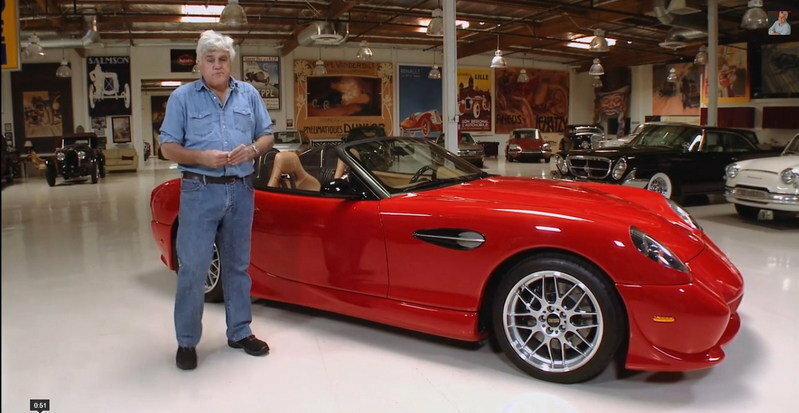 Fortunately, we won’t have to wait until then, and we owe it all to Jay Leno, who had both Don Panoz and the brand-new Esperante Spyder GT in his famous garage. Besides talking about and driving the Esperante GT Spyder prototype, Leno also takes a few minutes to chat to Don Panoz, an entrepreneur he’s obviously very fond of. Leno even goes as far as to compare him to Carroll Shelby and Lee Iacocca. And for good reason, as Don is financially responsible for every vehicle Panoz has built since 1990, for creating a competitive Le Mans racer and for founding the American Le Mans Series. These are impressive achievements for a 24-year career. Getting back to the Esperante Spyder GT, the revised version brings many improvements to the previous iteration, including a slightly reshaped body and a brand-new, luxurious interior with state-of-the-art technology. Leno’s ride is powered by a 5.0-liter, V-8 engine rated at 430 horsepower, but the Esperante will also come with an available 560-pony, supercharged, 5.4-liter V-8. Check out the video above for the full details. Panoz, an American sports car manufacturer founded in 1989, rolled out the Esperante back in 2000. Developed as a mid-engine, rear-wheel-drive, luxury sport convertible, the first Esperante featured an aluminum body and a modular, extruded-aluminum chassis with steel subframes. The first iteration was powered by a Ford-sourced, 4.6-liter, V-8 engine that cranked out 305 horsepower and 320 pound-feet of torque with modifications made by Elan Motorsport Technologies. First-gen models were capable of 0-to-60-mph sprints of 4.9 to 5.1 seconds and top speeds of up to 155 mph. The Esperante also spawned a GTLM race car with notable results in the American Le Mans series. As we approach the 2015 model year, Panoz has launched an updated version of the Esperante, this time with larger, more powerful engines, a revised exterior and a completely new interior. As with most Esperantes, the 2015 model is available in both standard and GT versions, with the latter being highlighted by a wider body kit. The revised Esperante Spyder GT comes just as Panoz is celebrating its 25th anniversary as one of America’s most exclusive sports car manufacturer. Let’s see what Don Panoz has in store this time. 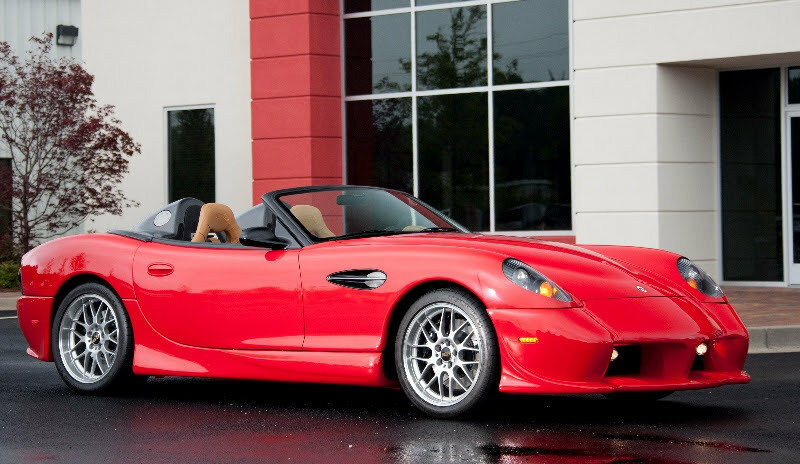 Click past the jump to read more about the 2015 Panoz Esperante Spyder GT. Last time we heard anything about Panoz, the Georgia-based company was busy working on the 2014 DeltaWing Coupe program following Nissan’s withdrawal. For those of you who are not familiar with the marque, Panoz manufactured a number of competitive race cars, such as the Esperante GTR-1 and its successors and the LMP-1, but also rolled out some limited-run, road-going sports cars as well. Dubbed Abruzzi, the most recent of them all was unveiled four years ago. Despite this long hiatus, the American automaker hasn’t given up on building road cars, and it has now resurfaced to introduce the 25th Anniversary Edition Esperante Spyder. 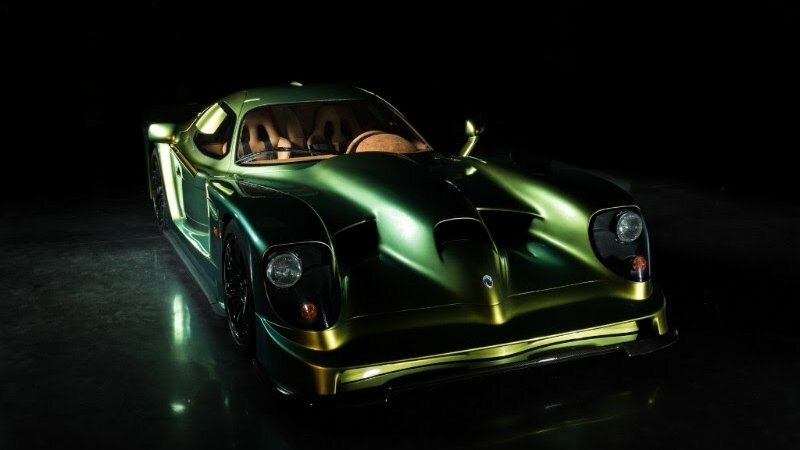 As the name suggests, the new vehicle was built to celebrate Panoz’ first quarter of a century in the business and represents an update to the manufacturer’s notorious Esperante model. Aiming to deliver "pure sports car performance and reflect the Panoz Le Mans endurance racing and performance ethos," the 25th Anniversary Esperante Spyder is built on a modular extruded aluminum chassis and its lightweight structure is made out of carbon fiber and aluminum. Although it’s based on the original hand-built Esperante, the new sports car has received a redesigned fully independent suspension, a performance anti-lock brake system and BBS wheels wrapped in Michelin Pilot Super Sport ultra high-performance tires. The Anniversary Edition Esperante will go on sale with two different bodies. The standard Spyder will sport a "super formed" aluminum body made through a process developed for aerospace applications, while the Spyder GT will feature carbon body panels constructed by Elan Composites, Panoz’ partner from the DeltaWing program. 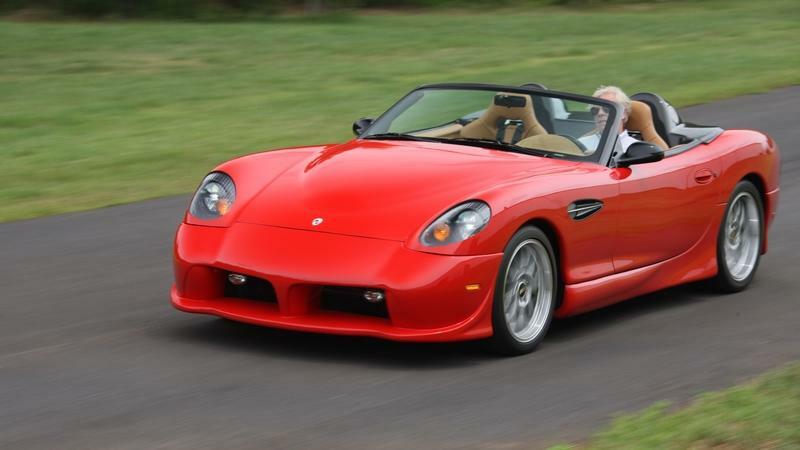 Click past the jump to read more about the Panoz Esperante Spyder 25th Anniversary Edition. After two teaser images, Panoz Motor Sports have officially unveiled the Abruzzi "Spirit of Le Mans" today at the Circuit de La Sarthe. The sports car will be limited to only 81 units, corresponding to the number ofLe Mans 24 Hour contests between the inception of the race in 1923 and the race to be held in 2013. The Abruzzi will be road-legal in Europe and in many countries in Asia, the Middle East, and South America. The Abruzzi "Spirit of Le Mans" is a front-engine, rear-transaxle and rear-radiator super sports car powered by a 600-plus HP engine. The Abruzzi ’Spirit of Le Mans’ is the first car ever to feature the implementation of the R.E.A.M.S. 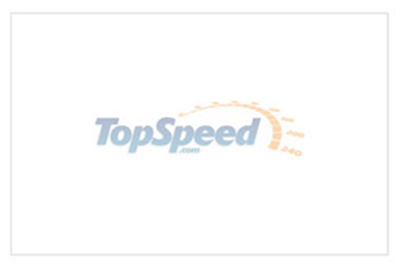 - Recyclable Energy Absorbing Matrix System - body system that offers environmental, performance, and structural advantages like no other automobile body system on the planet. This construction is lighter than carbon fiber yet equally strong. It will also feature a new three-stage "TRIFECTA COOLING" technology that improves both engine performance and efficiency. This "Trifecta" is an innovative development that improves both engine performance and efficiency. In addition to a typical high-efficiency radiator, there are stage two and stage three cooling systems that lower coolant temperature on both the inflow to and the outflow from the radiator. Albeit a little oddly shaped, the Panoz Abruzzi is definitely built to do what it is supposed to do; provide the driver with an amazing racing experience. The front of the vehicle sits wide and then closes in at the sides providing a unique design and aerodynamic shape to help with the downforce of the vehicle and allow it to grab onto the road that much better. This is a vehicle that was built with a purpose and that purpose was not to be the most attractive vehicle out there, but the most functional. 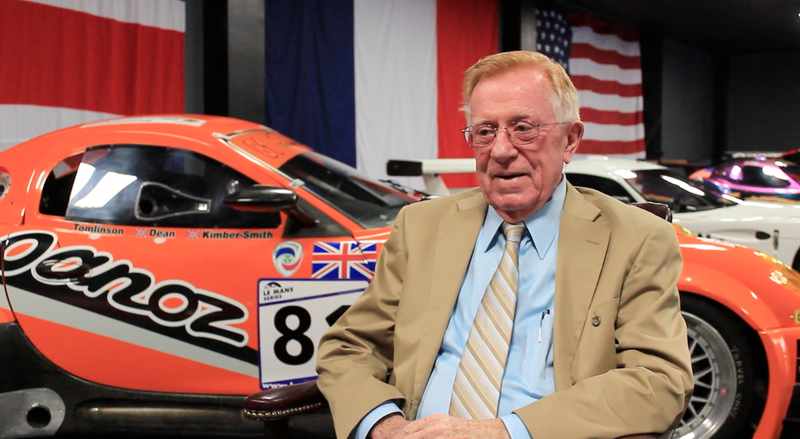 Check out the video of Don Panoz as he introduces the Abruzzi "Spirit of Le Mans" after the jump. The press release can be seen after the jump as well..
Panoz Auto Development has revealed a new teaser image of the Abruzzi "Spirit of Le Mans" supercar that will debut at the 24 Hours of Le Mans auto race. The car will be revealed to the press on June 8, 2010. 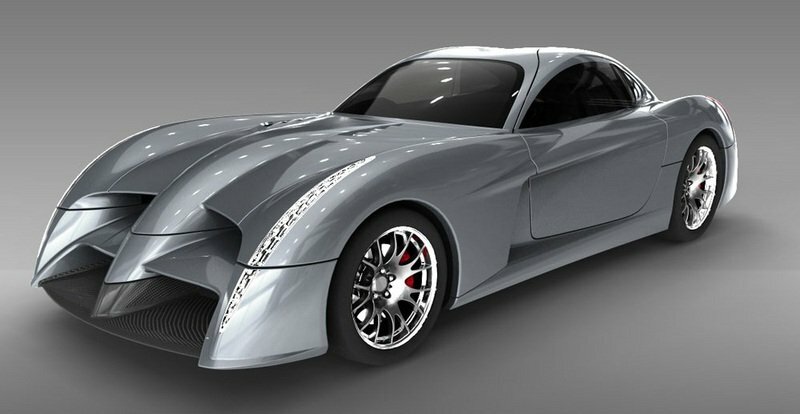 "The anticipation of the public in seeing the Abruzzi ’Spirit of Le Mans’ is only slightly behind my own," Panoz said. "I can guarantee that there has never been such a unique ownership and delivery program around such a spectacular automobile. It quite appropriately captures my dream and my experience of Le Mans – an event that is among the most meaningful of my life." As a reminder, the Abruzzi "Spirit of Le Mans" supercar will feature new technologies that will make the Abruzzi stand apart from others. Its body will be made from a Recyclable Energy Absorbing Matrix System (REAMS) which provides many environmental, performance, and structural advantages. It will also feature a new three-stage "TRIFECTA COOLING" technology that improves both engine performance and efficiency. We’ve been hearing about this debut for months now and we would just like to see the car in its entirety. We have to say, we are a little disappointed with this teaser image. They could have given all of us a little more, especially since the debut is only a few days away. Having been founded in 1989, Panoz has not been around very long in terms of carmaker years. That being said, it comes as no surprise that the number of cars they have debuted is limited with the Esperante being at the top of the Panoz model list. 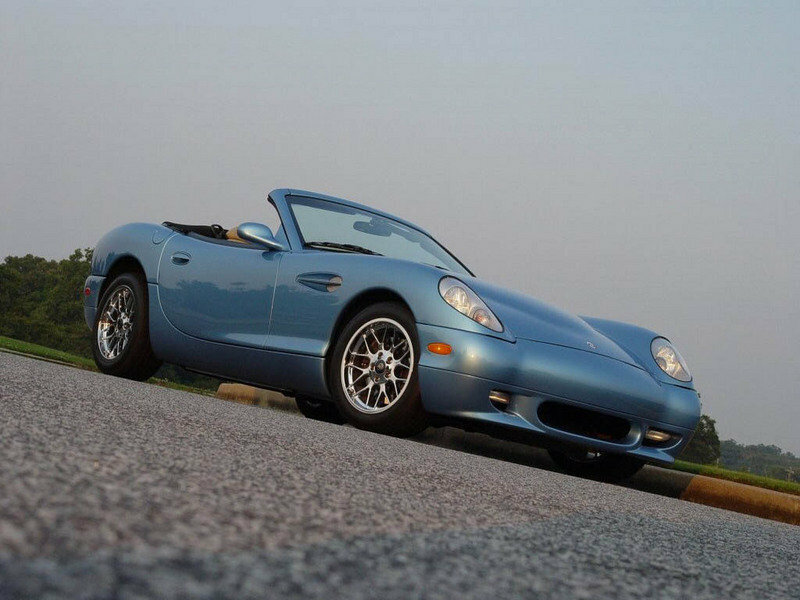 Recently, we received news that the list will become 1 model longer as the Panoz Abruzzi surfaces. Don Panoz, father of Panoz Auto’s founder Dan Panoz, announced during the 12 hours of Sebring broadcast that the Panoz Abruzzi would debut at the 24 hours of LeMans in June. Little is known as to the specifications of their newest model, but the above rendering was reportedly produced by a former employee of Panoz whose job was designing and building the GTLM bumpers as well as other design projects. If the rendering above was the sketch for the new Abruzzi model we hope that additional modifications have been made since then. The Esperante is a very nice looking sportscar, but it has its own model and the Abruzzi should have its own identity as opposed to looking like a curvier version of the Esperante as shown in the photo. 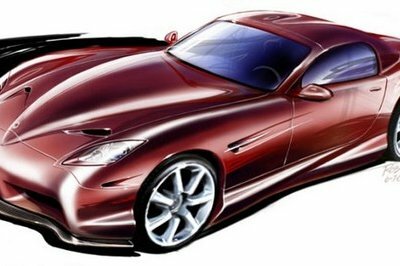 Additional modifications are likely considering Panoz will be introducing a newer version of the Esperante following the Abruzzi debut. As if their plate isn’t already getting full, Dan Panoz also said that he is hoping the GT2 racing variation will be unveiled at the Petit LeMans. We’ll keep you updated on all Panoz debuts as they occur. American muscle with a flare for the exotic! This 600 bhp front/mid-engine (engine is located behind the front axel) racer was released onto the race circuits of the world in 1997 at the famous Sebring 12hr venue. Powered by a Roush-prepared Ford V8 that creamed down the straightaway, this car was a fan favorite. Dubbed the “Batmobile” while racing in Europe, this car followed the trend in GT racing for fron-engined cars such as the Marcos and Dodge Viper GTS-R”. From its successful introduction on the American Le Mans Series earlier this year, the Panoz Esperante GT-LM race car is on the threshold of making its presence felt on racing circuits in both America and Europe as its builder launches a new customer car program. 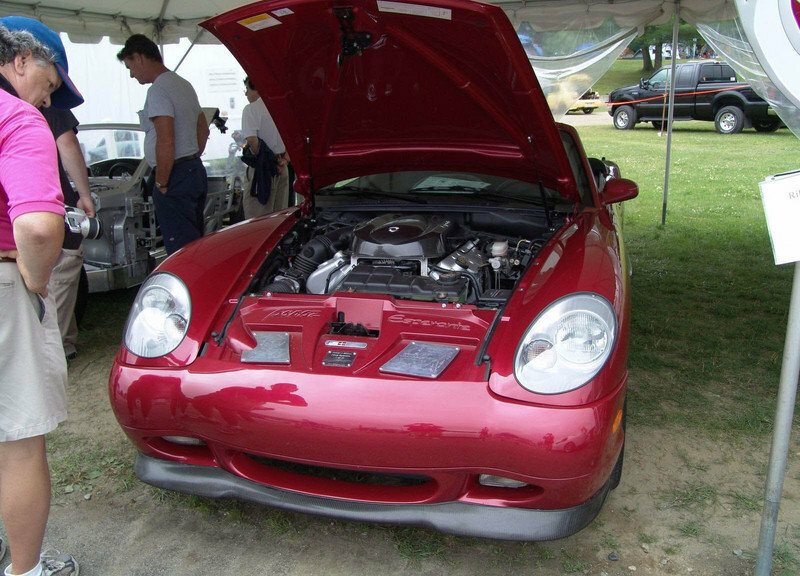 The Panoz GTS features a unique body comprised of fifteen thermoformed panels, making it more durable, less expensive and easier to replace than fiberglass. 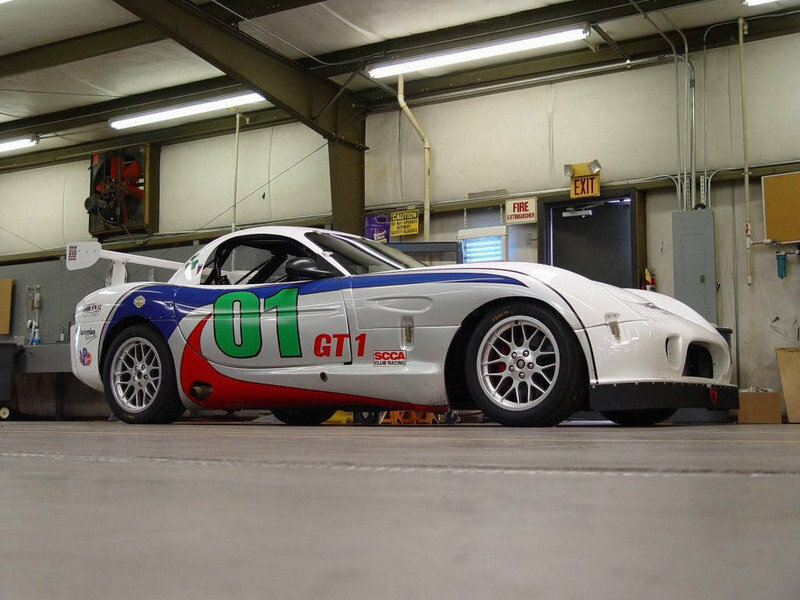 Also, all Panoz GTS spec racers feature an eight-point integrated roll cage with triple tube side-protection and working doors on both sides of the vehicle. It’s not often that a new car company makes its way into Canada, however in the last few years, we have seen Kia and more recently Mitsubishi make their way into our shores, hoping to end up on our driveways.